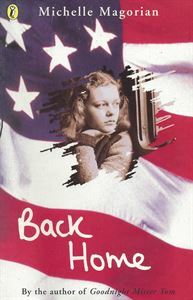 It is 1945 and twelve-year-old Rusty is back in England after five years in the USA. In a world of war-damaged cities, rationing and drabness, where even her family seem like strangers, Rusty feels alone and homesick as she tries to belong to two counties at once. Finally, her tough spirit leads her to a dramatic and devastating rebellion.